“She sheds” have never been more popular. In fact, sales of the female equivalent of the “man-cave” are soaring – up by 50% in the last year alone. So how can you make the most of your girl den? Simple: by turning your garden shed into the epitome of chic. Here’s how. Give your “she-shed” project a direction by picking a theme. Choose from shabby chic, American shaker, Scandinavian simplicity, nautical – whatever you like. A creative goal gives you your style cues, colour palette and inspires your choice of furnishings and accessories. Go on – be creative. Install one or two striking items of furniture that match your theme. Using your she-shed as a garden room in which to relax? Go for a cosy armchair and coffee table. If your shed will double as a home office, choose a stylish desk and chair that mirror the look you’re pursuing. No longer a humble bread bin! Next time you’re at the carboot sale or local second-hand shop, keep your eyes peeled for furniture and accessories that have potential. Better yet, why not look in your own home and see what items you can breathe fresh life into? 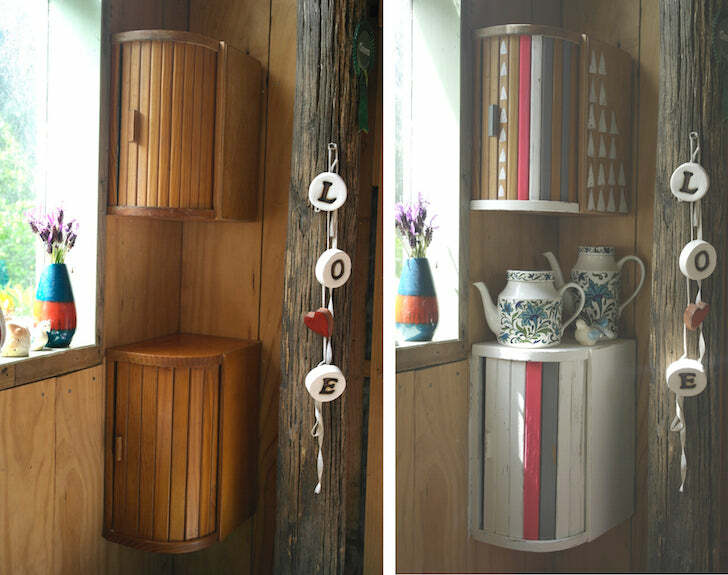 Upcycling furniture and homeware saves you money and is a great way to create something that’s uniquely you. There’s no better time to reupholster that chair! Once you’ve got the big jobs out of the way, it’s time to concentrate on the fine details – assembling final jigsaw pieces that pull the whole thing together. By putting up a small shelf, pot plants, bunting, or even colourful paper lanterns, you’ll start to see your design theme really take shape. Here’s a great suggestion from interior design blogger, Rebecca, at roseandrolltops. 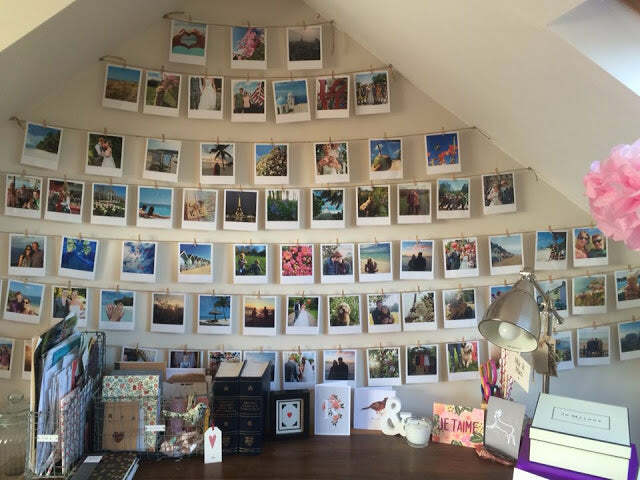 Just as the Victorians loved to accessorise their living rooms with myriad portraits and miniatures, you can raid your social media to create a memory wall from your favourite images. 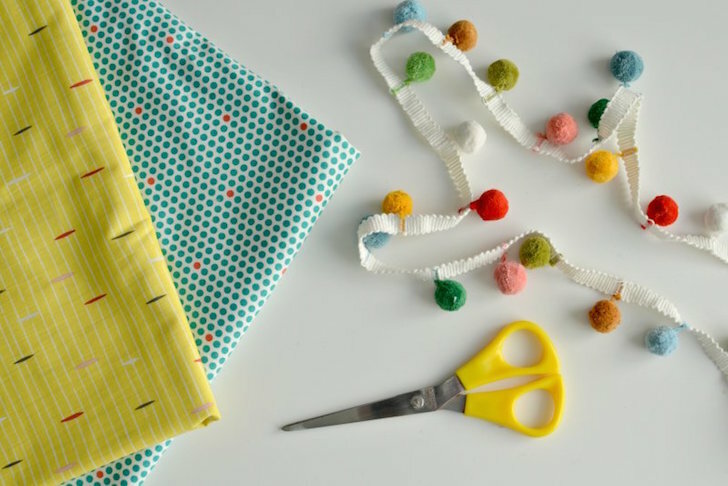 Crafting can be quite daunting for people who are new to it but the possibilities are endless and you can honestly use anything from a needle and thread, glue gun, fabric off-cuts, wrapping paper or washi tape. There are no rules when it comes to crafting! Be thrifty, be creative, and have fun! To get you started, try these simple, creative projects: DIY Pom Pom Cushion, DIY Washi Tape Wall, and DIY Gold Leaf Cement Pots. Is there anything lovelier than sitting in a room full of twinkly fairy lights? 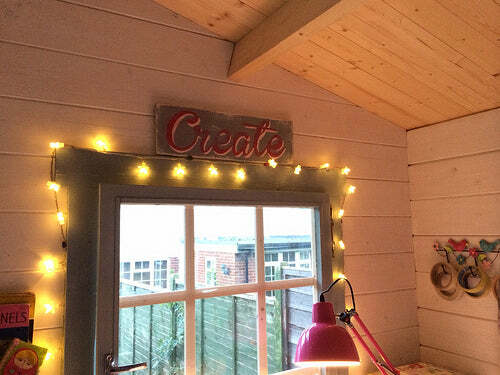 Dainty lights or light garlands are the finishing touch to your she-shed shed. They add ambiance without which no garden retreat is complete. Consider the many ways that you can add supplementary lighting – attach it to the edge of walls, have it dangling from the ceiling, wrap it around the decor, or bundle up the fairy lights into a jar or a glass terrarium and place in the centre of the coffee table. Simply lovely! 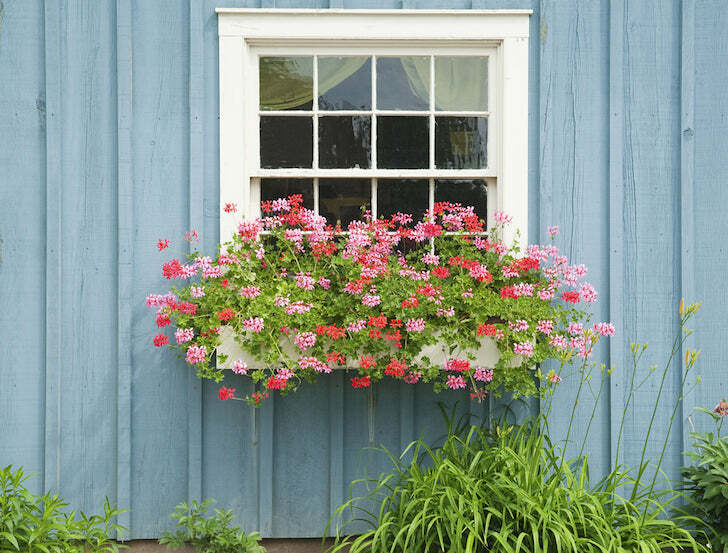 First impressions are everything so don’t forget to jazz up the exterior of your shed. The shed is going to be the focal point of your entire garden – the first thing people see. To do it justice, make sure the outside to be just as impressive and inviting as the inside! Follow the colour scheme of the interior, and add hanging plants and herbs and you’ll have she-shed to die for. 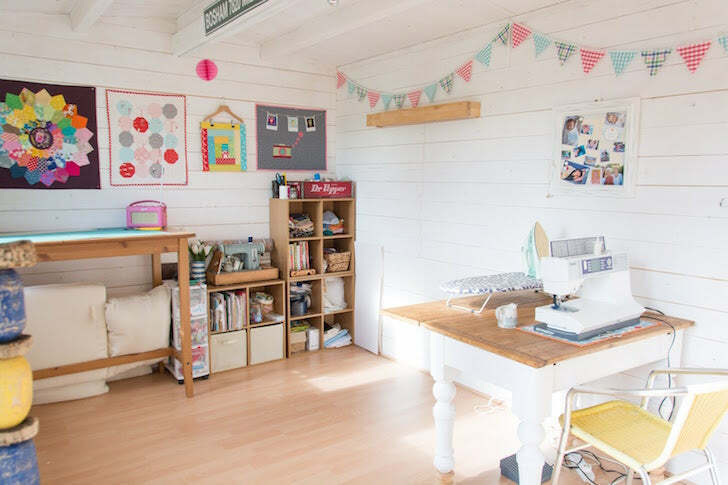 Have you turned your garden shed into a she-shed? We’d love to hear all about it via our Facebook page.